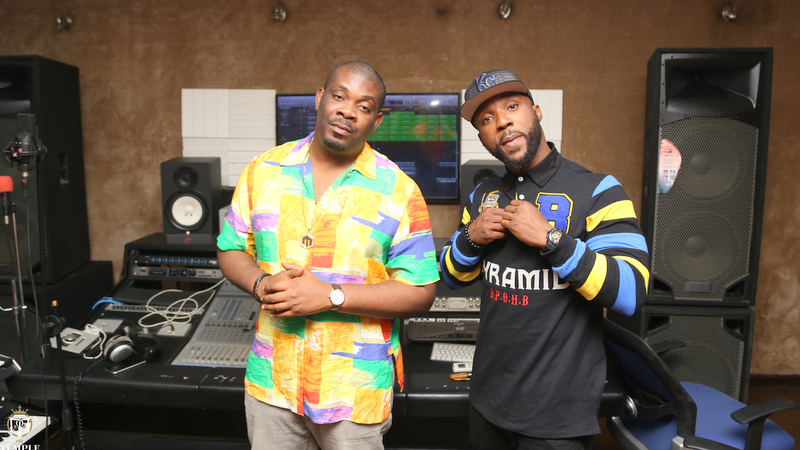 Iyanya's relationship with Don Jazzy's Mavin Records under threat? When popular singer, Iyanya Onoyom Mbuk, announced in 2012 that he was exiting his former record label, Made Men Music Group, and moving on to Mavin Records, the news was met with mixed feelings. Some felt that Iyanya was ‘too big’ an artiste to sign with Don Jazzy’s company. As is common in Nigeria’s music industry, this school of thought felt that the singer should have established his own company. But Iyanya seemed to know what the rest of the world didn’t know. He was confident that it was a good move and he had even said at the time. However, it seems the cosy relationship between Iyanya and his new label has run into troubled waters, barely a year after the deal was formalized. It was reported that Mavin Records-signees were absent at a birthday party organized for Iyanya somewhere in Victoria Island. It was also said that the label did not congratulate Iyanya on social media on his birthday. This led many to speculate that the centre can no longer hold for the duo. We got to work in a bid to find out the real gist. We put a call to Iyanya but his telephone was switched off for days while this report was being written. It was gathered that the singer was not in the country at the moment. However, further findings by us revealed that the relationship between Iyanya and Mavin has practically crashed. Iyanya is not happy because he has not been able to achieve what he wanted with his move to Mavin. A friend of the singer said, “To be honest with you, Iyanya is not happy with what is happening in Mavin. His reason for joining the label was to make his music more commercial, but you can see that has not happened. In fact, the label rarely has his time. They have a lot of projects that they’re involved in. Iyanya is not treated as a priority and that is hurting his career. We also gathered that Mavin Records was seriously considering dropping some of its artistes as this year hasn’t been a good one for the label. Though it is not known yet those whom the hammer may fall on, it is clear that a shake-up is imminent. NaijaPrince.com: Iyanya's relationship with Don Jazzy's Mavin Records under threat? Iyanya was ‘too big’ an artiste to sign with Don Jazzy’s company. As is common in Nigeria’s music industry, this school of thought felt that the singer should have established his own company.